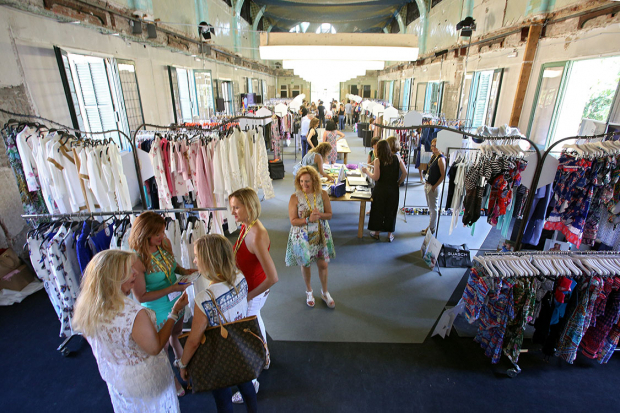 The sixth edition of the 080 Barcelona Fashion Showroom, the professional trade fair of the 080, will take place on June 27 and 28 at the Sant Pau Modernist Enclosure within the parallel activities of the 22nd edition of the Catalan runway, boosted by the Generalitat de Catalunya through the Consortium of Trade, Crafts and Fashion (CCAM). This edition of the 080 Barcelona Fashion Showroom, organized by the Fashion Catalan Cluster (MODACC) and CCAM, focuses especially on the United States market, with around 10 buyers from the American country. They will lead the group of around 30 international buyers from countries like Australia, United Kingdom, Netherlands, Austria, Japan and Russia and formed by different profiles: professionals of agencies, department stores’ distributors and online platforms. The main role of the United States in this edition is the result of the prior efforts made by the MODACC Cluster in different commercial missions and promotional actions endorsed by the Generalitat de Catalunya in USA. In total, the organization expects to welcome near a hundred professionals. Prior to its celebration, over half a hundred Catalan and Spanish buyers have already asked for their accreditation to attend. This is precisely one of the aims of the organization in this 6th edition of the trade show: to attract more buyers from the Catalan and state level. With this objective, a “Speaker’s Corner” will be set up in the space where exhibiting brands will be presenting trends to multi-brand operators. Given the good results of the previous two editions, the showroom will once again take place in trade fair format. In this sixth edition, around twenty Catalan fashion brands will take place, among which we find some that will also present their collection on the 080 runway like amt., Escorpion, Ester Ferrando Knitwear, Naulover, Sweet Matitos, TCN, and Lola Casademunt. Alongside them, the following brands will also be present: Sita Murt, Designers Society, Mikimoto, Munich, Guitare, Anna Mora/Brunella, Agnes Sunyer, Mikimoto, Magan, Nuria Serra, Simorra, Vialis, OC&CO, Sister Dew, Teoh&Lea, and Divas.